Please welcome the latest Super Modeler, pmolsen, aka Peter Olsen, of Australia! Anyway thanks pmolsen and welcome to the group! This month we bid bon voyage, good luck, and thank you to someone who has worked closely with the geo-modeler community for the past several years, Googler Bruce Polderman. He's not moving too far though-- Bruce is moving from the Google "Geo" group to Blogger (the Google product I use to create and host this blog). He took time to look both back and to the future and to talk with the 3D modeling community during this transition. Bruce, could you please tell us about your work with "Geo" at Google and elsewhere? Bruce: I joined Google by way of the SketchUp acquisition in 2006, roughly 1,858 days ago, but who’s counting? I’ve been a 3D Product Manager in Google’s “Geo” division throughout that time. While in Geo, I’ve worked on a variety of projects and initiatives, including the 3D Warehouse, the 3D Building Pipeline [the process that gets your user-created 3D models onto Google Earth], Cities in 3D, the Google Qualified Developer Program [Geo 3D], and of course the geo-modeling user community. How about life for you after Geo? I recently joined the Blogger team. Similar to YouTube, many people are unaware that Blogger is a Google product. What people also may not know is that it’s the one of the largest web sites on the Internet. What's something you were proud of in your time working with Geo in Boulder (and then later Sydney)? Bruce: I’ve had a number of proud moments, including incorporating Ancient Rome into Google Earth, and assisting the 9/11 Memorial organization to build and display a 3D model of the site on their web site to name a couple. I’m proud to have established the Super Modeler community, as well as the Geo 3D developer community too. But the proudest moments for me are really teaching people about geo-modeling. There’s nothing quite like seeing the light bulb go off when someone suddenly “gets it”. The geo-modeling workshop that we ran in the Philippines was quite memorable. How is the weather in Sydney? Bruce: Tropical! I have palm trees in my back yard, and wild cockatoo parrots that wake me in the morning. COOL! What has it been like working with the UGC [user-generated content] community? Any funny or memorable moments? Bruce: It’s been amazing. I’ve been inspired by the work the user community has been doing from the first day we launched the 3D Warehouse. The most memorable moments are easily the community events we’ve held around the world. [Like the Boulder and Zurich events I got to attend, both times meeting Bruce]. What is your super power and how will it help you at Blogger? Bruce: I don’t think of myself as being “super” at anything very much. Super at being humble maybe? If I had one, it might be my passion to focus on our users. I try very hard to put the user first in everything I do. I think that companies who take an outside-in versus inside-out perspective are likely to be the most successful. I did that for 3D, and I plan to do the same at Blogger. Do you have any parting thoughts? Bruce: I believe that what this community is doing is really valuable. Creating a digital record of our environment that Google Earth users around the world can enjoy today, and that our ancestors will appreciate in the future, is important work. Some people write stories, others take photos or create video. That’s their legacy. 3D models are your legacy on this planet, and I think that’s pretty cool. Thanks, Bruce, and happy blogging to you . . . Note: As 3D Community Manager, Nicole Drobeck will be taking over many of Bruce's duties in our group. 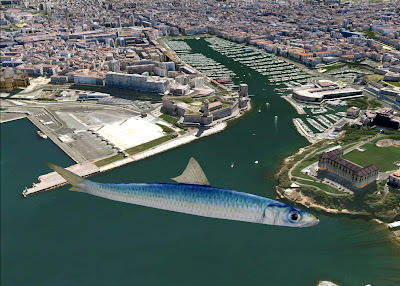 Please welcome our newest Google Earth "Super Modeler," Damo! Damo, aka Damien McBarron, is one of the most prolific modelers of high quality Google Earth models, and one of the attendees of last year's Mapper Modeler summit in Zurich (who I got to meet in person). Damo already made a cool thank you note in the form of a planet-sized message. Thank you Damo. All the Buildings in New York from Marisa Guzman-Aloia on Vimeo. I spotted this very cool [non-SketchUp] video about an artist who is attempting not to 3D model, but to draw, every building In New York. 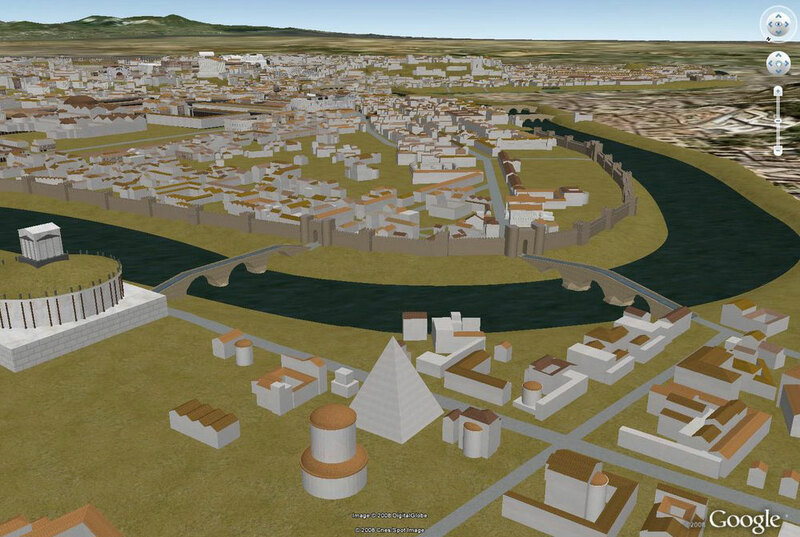 Sort of a parallel to the Google Earth 3D modeling project where users across the globe attempt to model every structure that exists in the world. Check this one out. It's by Manolo and it is one of the coolest and most unique 3D building models (and buildings) I've seen! Located in Slovenia. Read more. Something fishy spotted in Google Earth in Marseilles, France! What could this be all about? Read more here.